After leaving the US Army Janine entered and graduated the Florida College of Natural Health Advanced Massage Therapy program in 1999. She has provided massage at Walt Disney World Animal Kingdom, Orlando Art Museum, and the Gary Craig and John Elliot 96.5 FM station. 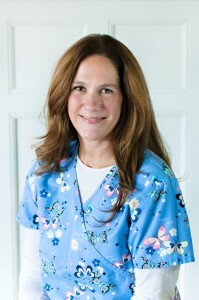 She is certified in diverse forms of bodywork including Swedish Massage, Neuromuscular Therapy, Trigger Point Therapy, Therapeutic Touch, Chair Massage, Hydrotherapy, Treatment of Pathologies, Posture & Gait Analysis and a variety of physiological therapeutics through her degree as a CCA. Janine has also worked alongside other Physical and Massage Therapists, Osteopaths, Medical Doctors and Chiropractic Physicians. A second generation secretary, Janine uses her family practice skills, experience and professionalism above to make your experience as easy and enjoyable as possible. Please call us with questions or to schedule your first appointment.